Make this navratri celebrations a healthy one with this simple and delicious beetroot payasam (kheer). 2. Fry the cashew nuts until golden and remove. 3. Crush them lightly and keep aside. 4. Grind the grated beetroot with 1/2 cup of milk to a smooth paste. 5. Heat the remaining milk in a large pot over medium flame. 6. Gently bring to a boil. 8. Add the sugar, beetroot puree and stir well until sugar has fully dissolved. 10. Add the cardamom powder and cashew nuts. 11. Remove and serve at room temperature or chilled. 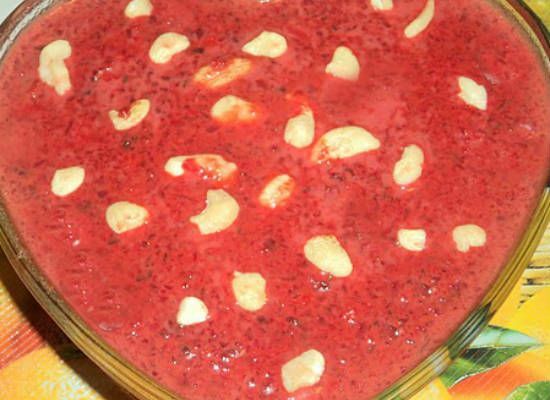 Feel free to comment or share your thoughts on this Beetroot Payasam Recipe from Awesome Cuisine.